Can you sign your posts so that I know who I’m talking to. Hi Ness! This is Kat using my boss’ account. Thanks a lot! This has solved our issue. Will get in touch as queries arise. To nest directly from Polyboard use the Optinest Post Processeur. Polyboard will open and import the cutting list into Optinest. The separate parts will be displayed on the left. 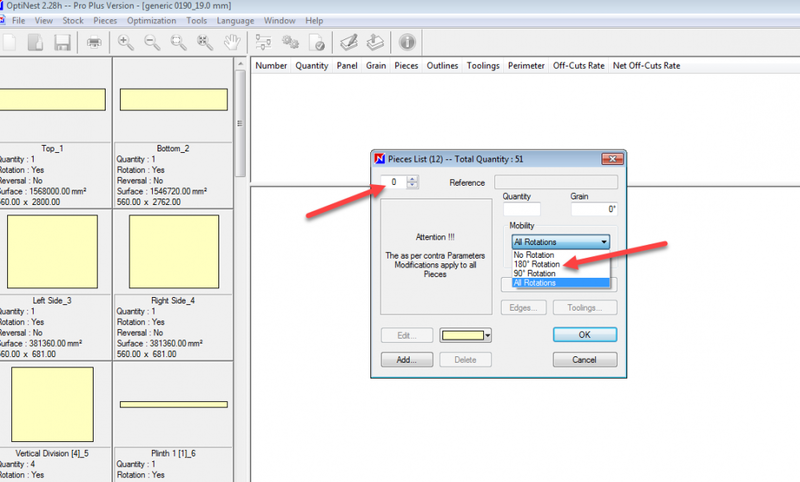 Double click a part to bring up the nesting parameters tool box. Make sure that the grain direction is set to 0° (if that’s the way the sheet dimensions are set). If you need more help we can have a mini Team Viewer session. 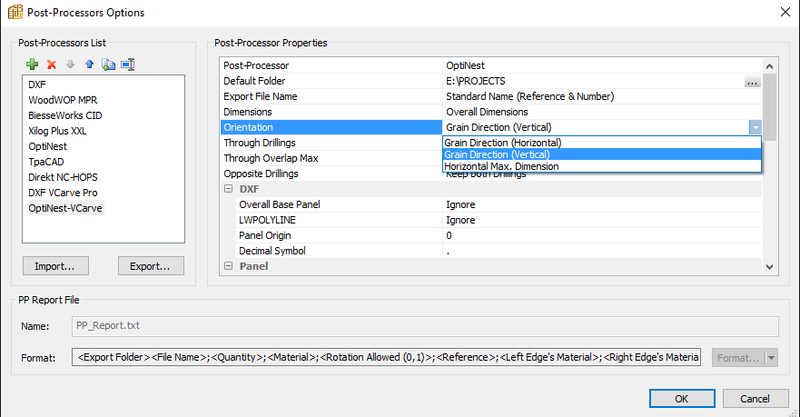 1) Edit “Orientation” in PolyBoard’s Post-Processor Options but it shows no option to disable rotations, reversals, etc. 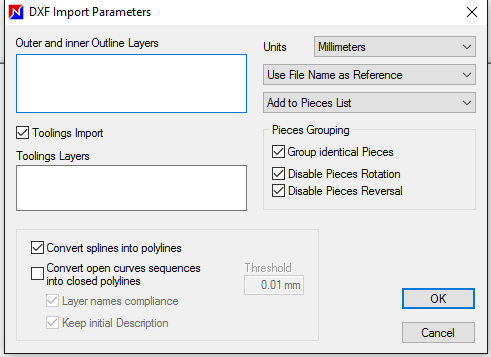 2) When importing DXF through Pieces > Pieces DXF Import > then selecting all DXF from one material folder, there is an option to disable rotation and piece reversals but defeats the purpose of exporting directly from PolyBoard which computes for all the materials for the project already. From this, we’ll export the DXF from the folders individually which is tedious. 3) When pieces have already been nested, pieces’ rotation can be edited one by one. Even more tedious. 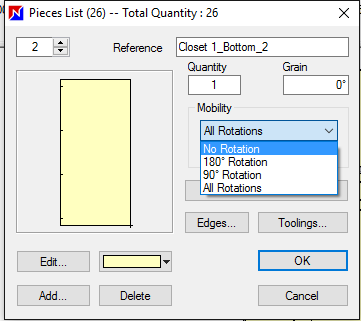 Is there a way we can disable rotation for all pieces before we import/export directly from PolyBoard? In VCarve this is fine because before we nest the pieces, there is a box that can be ticked if rotation should be applied or not. We can’t seem to find that in PolyBoard and OptiNest before nesting directly.